This is the 7th Plain Speaker report on the hospital cuts plans that are scheduled for public consultation, starting at the end of February. It looks at proposals for expanding Calderdale Royal Hospital into a 615 bed acute and emergency hospital – the only one in Calderdale and Kirklees. Knock down HRI, and sell off the site for development. Build a 119 bed planned care clinic plus outpatients and and urgent care centre on Acre Mill – leaving Kirklees without an A&E. Take services out of the hospital and put them in the community (so-called Care Closer to Home). 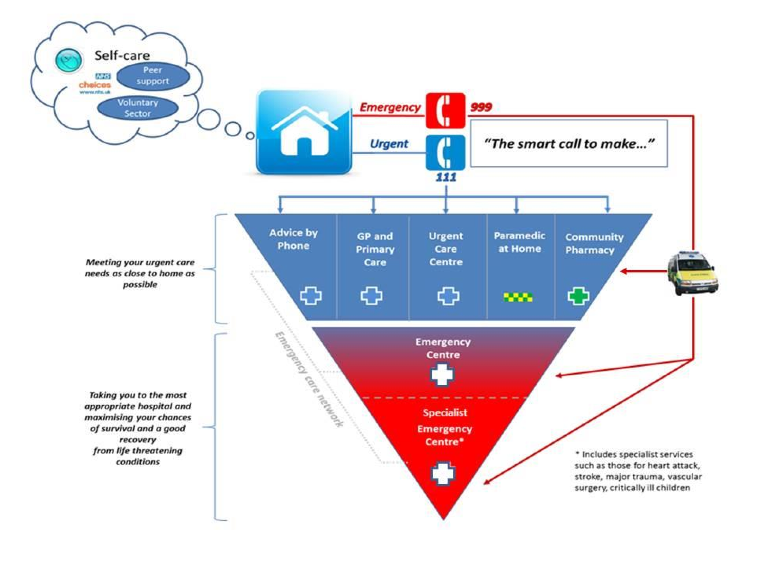 Set up an urgent care centre in Todmorden. (The urgent care centres would befor minor ailments and accidents. The independent clinical senate review worries that the urgent care centre staffing proposals are inadequate: they don’t guarantee a doctor would be present and they would rely on skyping colleagues in the Emergency Care Centre for advice) Update 5 March: The Clinical Commissioning Group has abandoned the proposal for a Tod urgent care centre. The only real solution to the problems that the Clinical Commissioning Groups hope to solve through their hospital cuts proposals is to restore the NHS to a fully publicly owned, run and funded health service, that it is the duty of the Secretary of State to provide, and that restores its founding principles of universality, comprehensiveness and being free at the point of need. Please ask your MP to vote for the NHS Reinstatement Bill in the House of Commons on 11 March. The proposed 615-bed acute and emergency Calderdale Royal Hospital – the only one in Calderdale and Kirklees – would provide acute/emergency medicine, A&E services in an “Emergency Care Centre” plus Paediatric Emergency Department, and an urgent care centre. What they all share in common are the presence of an Emergency department (A&E) and an Acute or Medical Assessment Unit (AAU or MAU) with the variable inclusion of GP services, an Urgent Care Centre (UCC) or Walk In Centre, Urgent Children’s services and a Surgical Assessment Unit. The Right Care Right Time Right Place (PCBC) says the Emergency Care Centre (ECC) planned for Calderdale Royal Hospital (CRH) would have at its core an Emergency Department, with a similar set of acute and A&E services as are in the current A&Es – but only on one site, instead of 2 on 2 sites that share some services across both sites. From the PCBC, it does look as if the ECC planned for Halifax is, like the A&E consultant thought, an Emergency Centre – in the middle of Keogh’s 3 tier urgent and emergency care structure, as far as I can make out. Presumably the Specialist Emergency Centre that the PCBC refers to is Leeds General Infirmary? However at the Greater Huddersfield CCG Governing Body Meeting on 10 February, apparently the CCG said that stroke and heart attack patients will be transferred to Leeds. (If this scheme goes ahead.) So maybe they’re making it up as they go along? The proposed Emergency Care Centre would have 8 unplanned operating theatres including :1 x 24 hour emergency theatre, 1 trauma theatre & 1 emergency obstetrics and gynaecology theatre. It would include a Medical Assessment Unit. The Pre Consultation Business Case says that the biggest areas of deprivation are in and around Huddersfield, and it also says that along with high levels of poverty and deprivation in Huddersfield there is also “a higher disease burden”, with frailty, emotional welfare, obesity and cardio-vasular disease (CVD) as cause for specific concern locally. Dr. Rebecca Parker, a member of the board of directors of the American College of Emergency Physicians, who was not involved in the study. The researchers in the 2014 study found that among inpatients at hospitals affected by an emergency room closure, 5% were more likely to die than patients at other hospitals. The increase in the risk of death for affected adults under 65 was even greater: their risk of dying in the hospital increased by 10% compared with similar patients who were not affected by a closure. Heart attack, stroke and sepsis patients faced a 15% greater risk of dying in the hospital if there had been a closure nearby, when compared with similar patients at unaffected hospitals. The study said emergency room closures at nearby facilities may contribute to mortality at other hospitals because they increase the distance and travel time to an emergency room, while exacerbating crowding and prolonging waiting times for care. A&E closures may also cause some patients to postpone seeking care, so that they are in worse shape by the time they arrive at a hospital. Where’s the evidence that halving the existing A&E service is going to be safe? At the best, they’re cutting the existing A&E service in half, by putting everything in Halifax. They plan to send Huddersfield patients to whichever is their closest A&E, not necessarily to Halifax. Given the geographical spread of Kirklees, that could mean they get sent to Barnsley or Pinderfields which are both hideously overcrowded. The Pre-Consultation Business Case (p77) said that 85% of Calderdale and Kirklees A&E patients would go to CRH, which they say would mean 81,370 Yorkshire Ambulance Service journeys (patients)/year. But it turns out that this doesn’t include “modelling” based on the fact that Dewbsbury District Hospital A&E is to close come September 2016 when it downgrades to an urgent care centre. The CCGs finally released their travel analysis a couple of days ago which includes modelling based on the closure of Dewsbury A&E. This updated modelling shows that 91.9% of Calderdale & Kirklees A&E patients would go to Calderdale Royal Hospital A&E, which they say means 84,534 Yorkshire Ambulance Service journeys (patients) each year. 2% will go to Barnsley – 1,794 YAS journeys/patients. The CCGs’ travel analysis says this means an increase of 1,451 patients more than currently go to Barnsley A&E from Kirklees. The CCG’s travel analysis doesn’t mention this, but Barnsley Hospital Foundation Trust records extreme risk status on a number of targets that relate to its ability to absorb an increase in attendance following the proposed closure of the A&E department at HRI. Emergency Department mid grade staff recruitment is RED. A&E 4 hour target is only 88% met and is RED. The Trust is in serious deficit showing RED on two counts. These recorded risks are shown on P 41 of the February 2016 Trust Board papers within the Corporate Risk Report. This document is downloadable here. And while they’re busy planning an extra 293 A&E patients/year from Kirklees to Pinderfields – where 586 ambulances/ A&E patients had to wait 60 minutes or more for handover into A&E during the year Dec 2014- Dec 2015, the downgrade of Dewsbury A&E to an urgent care centre in September 2016 will increase Emergency Department activity in CRH by an estimate 7 ED attendances/week. Despite this, the PBCB justifies this more-or-less halving of the current A&E service for Calderdale and Huddersfield by saying (p54) that because of the “new models of care”, there would be a “smaller number of patients with Emergency Care needs”. The PCBC is relying on these “new models of care” to reduce unplanned medical hospital admissions by 6%/year (p83) which would mean “ Significant delivery of commissioner QIPP” (ie save the CCGs quite a lot of money). On p 89, the PCBC says that estimates of emergency attendances are based on “modelling”; the problem is, modelling is only as good as the assumptions it’s based on. What assumptions was this modelling based on? The CCGs need to tell us. The example of modelling for PFI hospitals show how easy it is to fiddle this to get the answers you want on paper, which turn out to be impossible in the real world. As well as hoping for reduced numbers of patients attending A&E – or the “Emergency Care Centre” – they are planning to push patients through faster, once they’re admitted to the acute hospital. maternity 5% reduction in length of stay etc. All Trauma and orthopoedics, general surgery and urology inpatients with a length of stay of more than 10 days would be shifted to Huddersfield if clinically appropriate. The imminent downgrade of Dewsbury A&E to an urgent care centre will increase ED activity in CRH by an estimate 7 ED attendances/week. Evidence is lacking that the “new models of care” – based on moving services out of the hospital – will reduce so-called avoidable emergency admissions, and so make it safe to cut 77 hospital beds, 755 hospital staff and one A&E by 2020. The danger is that under local authority rules integrated health and social care will mean that there will be means-tested charges for services rather than the NHS principle of services funded from general taxation. The outcome may be a deregulated, local service – partly privatised, its social care component already 90% privatised – facing a meltdown in local authority finance, competing with other localities for patients and funds, with local pay and conditions for health workers, and all branded as “integrated”. Closing Huddersfield A&E would mean 10,071.86 hours extra Yorkshire Ambulance Service journey time/year. If Halifax A&E were to close and Calderdale patients were sent to Huddersfield A&E, this would mean an extra 8,787.17 hours extra YAS journey time/year. Given that YAS is currently struggling to cope with what it already has to do, how is it going to cope with an extra 193 hours more journey time/week if Huddersfield A&E were to close? So, what does YAS make of having an extra 10,072 hours/year journey time if Huddersfield A&E closes? And what of the effect on patient mortality of “average” increase of 6.48 minutes for ambulance journey times? Which if you factor in the effect that half of journey times will be unchanged (the ones for Calderdale A&E patients) this means that the “average” increase in ambulance journey time for Kirklees patients will be double that, ie 13 minutes more in the ambulance. None of us from either Calderdale or Kirklees would be able to just pitch up there like we can at the moment. Instead, you would be triaged at the nearest urgent care centre in Huddersfield, Halifax and Todmorden, or via your GP or walk in centre, or a YAS paramedic, and then sent to the nearest A&E – not necessarily to Halifax, according to what the Preconsultation Business Case says. It also says that patients would be able to get acute medicine services without admission to hospital. This would be through rapid-access outpatient clinics, ambulatory, rapid response community alternatives (what are these) or intermediate care. I had to look up “intermediate care”. It turns out it is a concept introduced by the New Labour government in its 2000 NHS Plan for England, which continued the market oriented and pro-business NHS policies begun under previous Conservative governments. By time-limiting NHS care for the first time in its history, it ended the inviolable NHS principle of care that is free at the point of need. Intermediate care – most likely provided by a private nursing home or in the community – is free at the point of need for the first 6 weeks but after that it becomes a joint NHS and Council responsibility and patients may be – and almost always are – charged for it on a means tested basis. So now we know what intermediate care is a means to deny patients NHS care, to enable private companies to profit from providing long term care, and to charge patients for needing it. But if trauma is going to Leeds, that won’t help will it? Another question for the CCGs to answer. This entry was posted in Social fairness and tagged A&E, Calderdale Royal Hospital, Consultation, Right Care Right Place Right Time by jenny. Bookmark the permalink. Superb analysis-I worked as a lay reviewer for CHI during the period that Blair’s New vision for the NHS was being touted/implemented, PFI ‘s etc and thought then it was a huge mistake, but I didn’t realise the real agenda was privatisation by stealth! Thanks Nancy, if you’re on fb or twitter, please will you share this post as widely as possible? People need to know! You must have had an interesting time as lay reviewer for CHI.